Samsung Galaxy Y Plus GT-S5303, the new member included from the awesome Galaxy series comes with 2.8 inches TFT LCD QVGA touch display with 240 x 320 pixels resolution. The main attraction of the handset is its modern connectivity. The device enables 3G, Wi-Fi, GPRS, EDGE, A-GPS and Glonass connectivity which are advanced smart features. The handset is powered by an 850MHz processor and has 4GB of internal storage memory and 32GB expandable memory via micro SD cards. 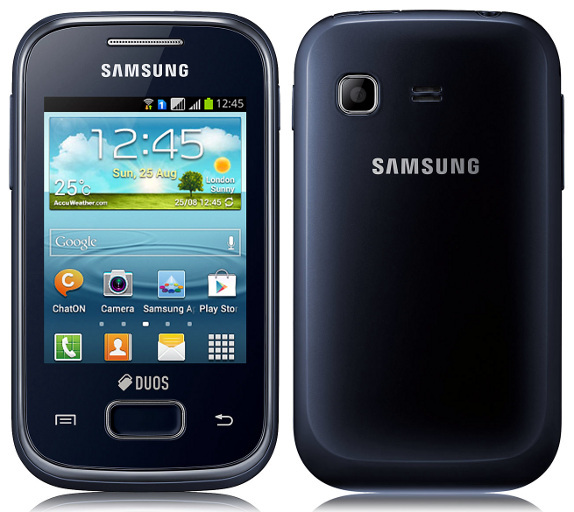 Samsung Galaxy Y Plus is one of the dual SIM budget smart phones released from the Company. The dual SIM network connectivity helps the customers more effectively to diversify their info needs. The handset runs Android 4.0 Ice Cream Sandwich operating system and carries a 2 mega pixel rear shooter with digital zoom and video recording. There is no LED flash light on the device. The smart phone also carries a standard 1,200 mAh Li-Ion battery which provides sufficient talk time and standby time. Earlier, Samsung offered some entry level Galaxy series smart phones like Galaxy Ace Duos ( GT-S6802), Galaxy Y Duos Lite (GT-S5302) and Galaxy Music (GT-S6010) which are included in the best seller handsets list in India. even you can use this great device as a monitor by connecting it with your laptop or computers. I use this phone and I like it. Nice model.